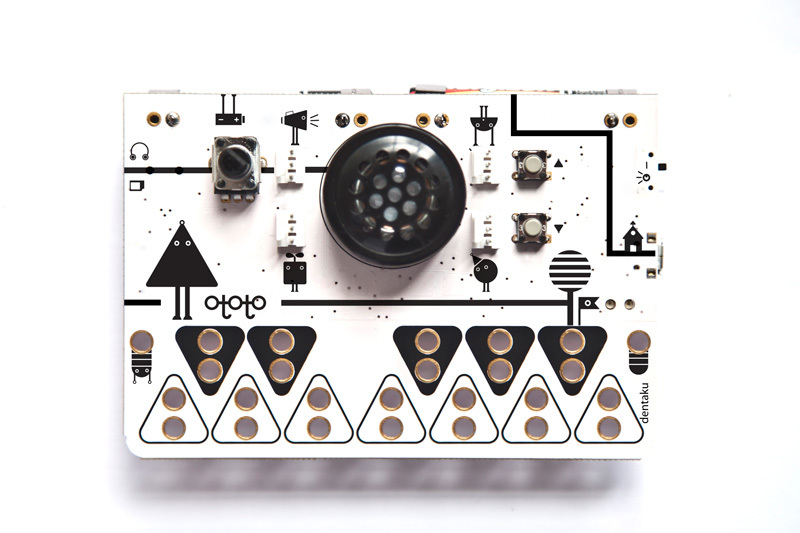 With OTOTO you can unpack the kit and make anything from a drum kit of saucepans to origami that sing when touched. The core of the kit is the PCB synthesizer, slightly larger than a cassette tape, which works as a musical keyboard straight out the box. 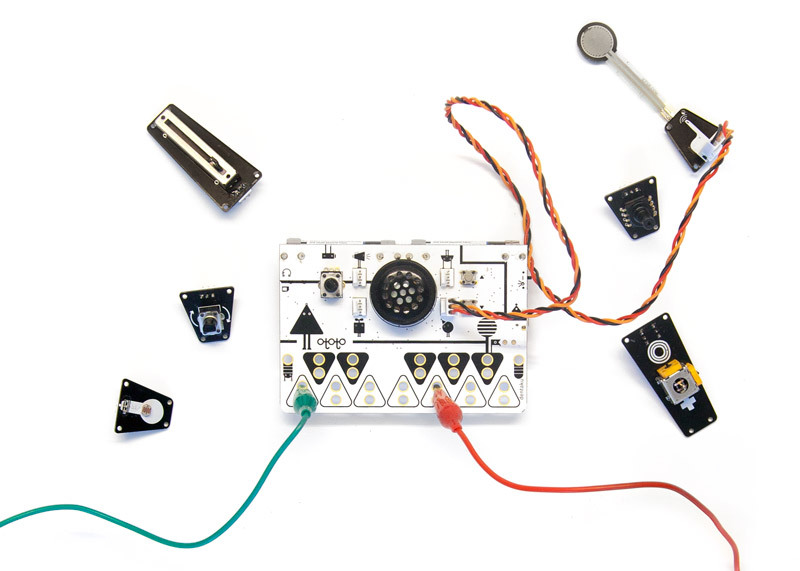 By using crocodile clips you can connect board to conductive materials which will the trigger sounds. The sound can also be changed by connecting electronic modules to four outboard sensor inputs. For example you can easily build a light Theremin by connecting light sensor to control the pitch. We wanted to created a kit that makes physical computing and interactive projects accessible for eveyone. amazing electronic sound projects with minimal knowledge.